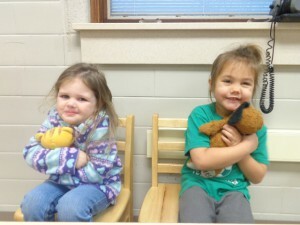 This week the children in Mrs. Hauber’s preschool class at the Perry Township Education Center studied hibernating animals. 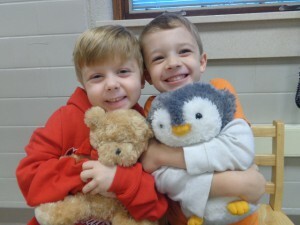 They did many different activities to learn about hibernation. 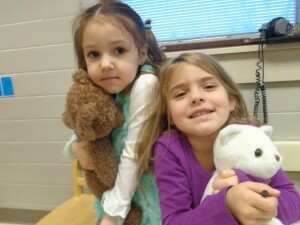 On Friday they had a teddy bear exploration. 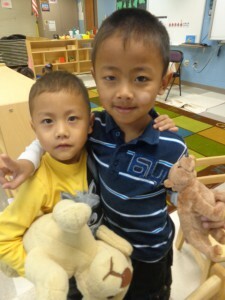 Each child brought a teddy bear to school. 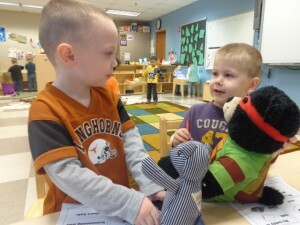 They paired up and talked about different attributes of their bear. 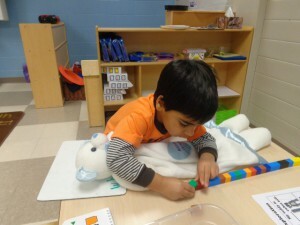 They measured their bear and then compared the size of their bear to their partner’s bear. 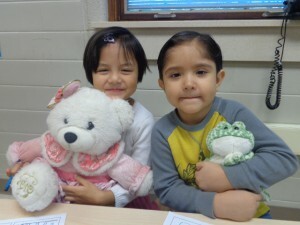 This was a great opportunity for the children to use new vocabulary words, as well as practice writing and math skills.